Analytics are fundamental when it comes to allowing marketers to see where their website visitors come from, as well as what search terms brought them there. And don’t fall into the trap of thinking that this information is no longer available to you, simply because of Google’s “keyword not provided” algorithm change of recent years. Because of this, for over a decade, search queries have been one of the key determining factors in website traffic. The bad part about that evolution? There’s also been an over importance placed on too few—and too specific—key words. But, this “key word determination” on the part of marketers has largely happened without any real knowledge or understanding of the process by which readers actually come to search specific terms. Is it popularity of a term? Is it impacted by the education level of the searcher? Does personality or ethnicity or regionality play a role? 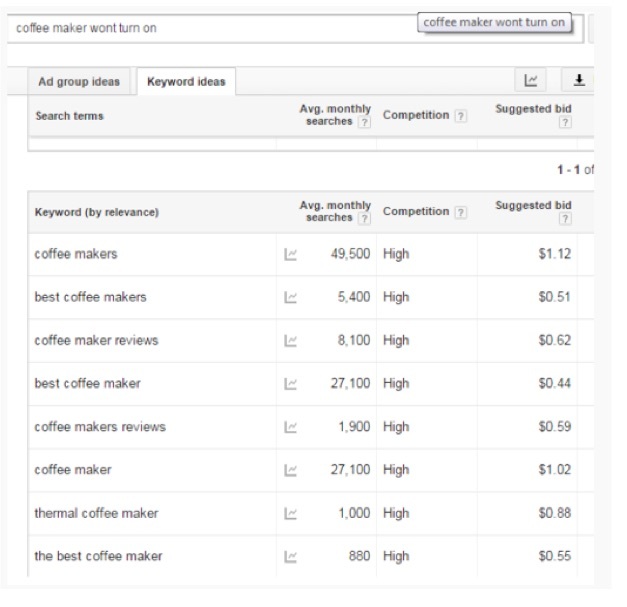 Identifying keyword search terms is still a fundamental part of online marketing. Everything from the development of website content and messaging, to ad targeting, to digital advertising in general, is based in part on initial keyword research. And while changes in Google’s algorithm have shifted the focus of many content creators away from an over reliance on keywords and instead toward the production of content that provides value to the individual, it is still fundamental to your marketing strategy (as well as all other things that flow from that) to determine the search queries that are being used, and how and why they differ between individuals. Until now, the average marketer has looked at the average consumer from a one-dimensional approach. This completely undermines the huge impact of individual differences in behavior when it comes to decision making. Internet marketers are slowly catching on to this, and companies who get this, behemoths like Amazon and Facebook, are adopting software that works to establish recommendations based on a user preference profile. Similarly, retargeting ad campaigns are used by marketers to establish a more tailored and personalized approach to their marketing efforts based on data related to the individual, rather than the crowd. Research reveals that the average individual searches as many as 129 separate times a month. However, there is little in the way of any type of investigation into how human differences and behavioral profiles may impact the way sentences and phrases are formed in search. This begs quite a few questions: How do individual search queries differ? What patterns can be found in the differences between people in regard to search? And, what are the practical applications of these findings for marketers? Well, you know I’ve got some answers on that, which is the whole reason for this post. Recently, Blue Nile Research (BNR) surveyed web searchers about how they do Internet searches. The goal here was to ultimately better understand the differences between individuals and their approaches to search, as well as to try to determine some real practical applications for marketers. Knowing how people craft their searches is actually a matter of determining the linguisticpatterns of the individual. In order to facilitate this understanding, the study by BNR set out to determine how different people would approach search scenarios given specific tasks at hand. 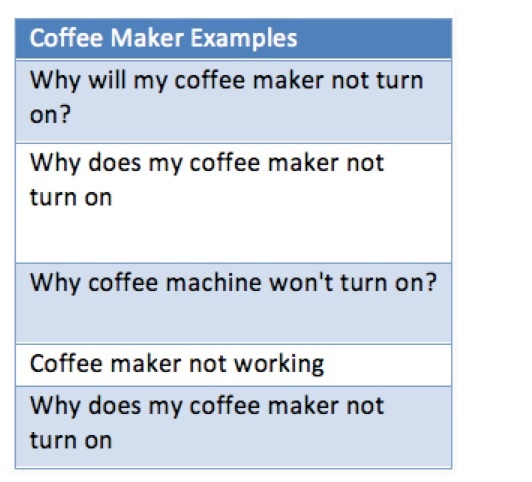 A technological issue: Your coffee maker does not turn on. A health issue: You have a swollen ankle. An e-commerce issue: You are in the market for a new laptop. Hence, more market research into distinct audience segments and an understanding of the language, phrasing, and common search terminology that that segment uses is critical. This will help ensure that the keyword research path you pursue and SEO strategies you ultimately employ as a result will not be based on guesswork, but instead on empirically grounded in-sight. There are notable differences between those who searched in ‘fragment queries’ (two to three words) and those who searched in ‘full queries’ (four or more words). In fact, the split was straight down the middle with 50 percent on each side. Fragment Query Searcher. The fragment query searcher appeared to be interested in the speed of their search. They would input the minimum amount of text and be prepared to search through the results and open multiple links in order to find exactly what they were looking for. Furthermore, they were happy to conduct follow up searches if need be. Full Query Searcher. 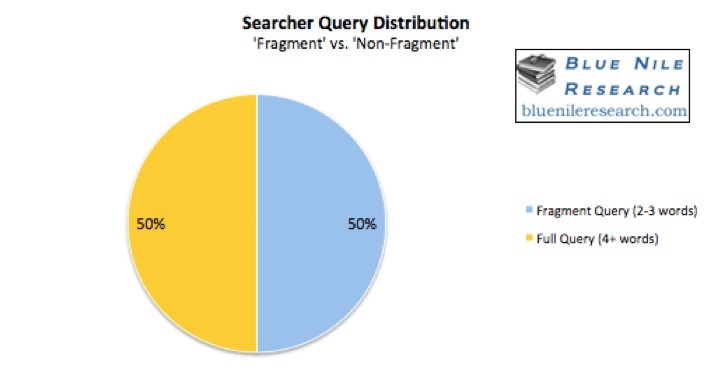 The full query searcher was primarily focused on the depth of their search. Though it took them more time to phrase their questions, this ensured they were more likely to find relevant content on the first search. They were hoping to find a one click solu-tion, preferably at the top of the search results. Again, not surprisingly, just as no two people are exactly alike, search phrases varied wildly. For years, copywriters have long known the impact of phrasing when it comes to web en-gagement. It comes as no surprise then that there would be a notable difference between pre-fixes when it comes to searches. Phrases that started with “how” were the most preferred search queries at 38 percent, followed by why (24 percent) and where (15 percent). Which and what brought up the rear, at 12 and 11 percent respectively. Marketers have a tendency to put their eggs all in one basket. That said, place too much focus on “how” related searches, and you end up neglecting the significant potential for traffic coming from the lesser used “which” or “what” queries. The findings of this research do not undermine the importance of keyword research. Instead, they provide a glimpse into the potential for the advancement of our understanding of search behavior. Web analytics and traditional keyword tools only manage to capture one part of the whole picture, and this new research can offer fresh insights into individual behavioural dif-ferences between searchers. Doesn’t it only make sense? As it was found that individuals differed to the point where no one query was used in over a third of searches, it may be considered that marketers do not yet have a thorough enough understanding of their audience. By determining how search phrases differ by identity, marketers are able to create much more targeted content and advertisements that respond to what the individual may be after. A thorough research process and well-crafted content will ultimately pay dividends to the savvy digital marketer. How deeply do you research your audiences? Are you segmenting based on individual search patterns? Or still marketing with old, “tried and true” keyword strategies. Hopefully this will at least make you think about that, if not change how you’re doing it altogether. What do you think? Shelly Kramer is the Co-CEO of V3 Broadsuite, a marketing agency specializing in the digital space. A 20+ year marketing veteran, she’s a brand strategist focused on delivering integrated marketing solutions and helping businesses leverage the web for growth and profitability. She’s an expert at content strategy and execution and tying social media to business initiatives. Recognized by Forbes on a number of occasions, most recently as one of the Top 40 Social Selling Marketing Experts and Top 50 Social Media Influencers, she’s half marketer, half geek, with a propensity for numbers, producing results and a dash of quick repartee. Her blog has been recognized by Forbes as one of the Top 20 Best Marketing and Social Media Blogs and by PostRank as one of the Top 100 Most Engaging Social Media Blogs. Find her on LinkedIn, Twitter or stalk her blog. You’ll be glad you did.